- Georgette is made with highly twisted yarns. 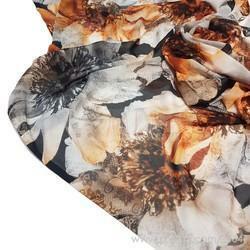 We being a prominent company are always recommended for Georgette Viscose Fabric. We utilize fine quality materials to fabricate these products. These are widely demanded for their perfect finish, attractive patterns. 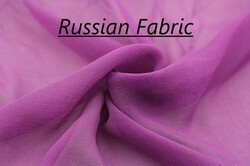 This translucent, light weighted fabric has a fine grainy surface which is soft to the touch. It is ideal for dresses, blouses, Indian sarees and Lehangas. We are betrothed in providing the finest quality assortment of Georgette Fabric to our patrons. These products are available in different types of designs that meet on client’s demand. Matching up with the ever increasing requirements of the customers, our company is engaged in providing Georgette Knitted Fabric. Make any Dress , Duppta , . Specialy these material for BRTIQUE .